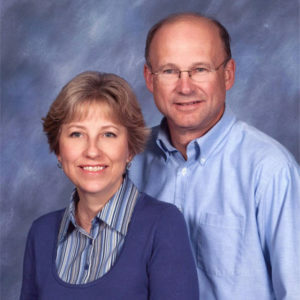 Cal Kern has been involved with various ministries since 1986. He joined staff as the Upstate New York Director of the Fellowship of Christian Athletes (FCA) in 1993, a position he held until 2001 when he went to work for Family Life Network as a Christian Radio Representative. Kern returned to FCA in 2007 where he established and led an FCA Summer Collegiate Team, the Niagara Power in the New York Summer Collegiate League, for nine years. With the Niagara Power no longer active, Kern, and his wife Sherrie feel called to continue their service to college athletes and, in fall of 2015, Kern began a new role with FCA at the University at Buffalo’s Campus as a sports chaplain. Sherrie has worked alongside him as she mentors and disciples the female athletes. While UB is Kern’s primary place of ministry, he also mentors several coaches and men throughout Western New York. As an athlete, Kern was the first two-time All-American soccer player at Buffalo State College. In 1972 he was drafted in the first round by the North American Soccer League’s Toronto Metros and played six months before shattering his kneecap during a game. He served the next year as the assistant soccer coach at his alma mater and worked in the family business before accepting Christ and entering full-time vocational ministry. Cal and Sherrie have two children, both of whom are married, and five grandchildren. They reside in Grand Island, N.Y., where Kern enjoys time visiting with his family, reading and coaching.